Do you have unsightly brown or enlarged spots on your face or body? Have you ever dreamed that you could get rid of them once and for all? Whether you suffer from pigmented lesions from too much sun damage or raised skin tags that have accumulated over the years, there’s a better and more cost effective way to correct these imperfections. Inkfree, MD can safely and effectively remove these spots through a variety of treatment options. Laser sun spot removal is generally a safe and well-tolerated procedure when done correctly by properly trained professionals. Before undergoing the procedure, it first needs to be determined whether the spots on the skin are in fact pigmented lesions or benign or non-benign growths. If they are determined to be sun-induced lentigines (freckles, sun spots, liver spots) which are mostly extra pigment deposition due to sun damage, then these lesions should respond well to laser treatment. Inkfree, MD applies a q-switched laser to the surface of the skin that targets the pigment in the skin. The laser light is focused on the targeted area and is absorbed by the darkened pigments of the spots. This results in skin which will be more uniform in color, texture and appearance. It usually takes 2-3 treatments spaced 4-6 weeks apart for complete removal, however, larger and darker spots may require more treatments for optimal results. Another popular treatment option to tackle spots is the medium grade VI chemical peel. These peels contain retinoic acid which triggers peeling and unclogs the pores while boosting collagen and elastin, kojic acid that fights discoloration and brightens the complexion, vitamin C that mitigates the damaging effects of UV exposure and toxins, hydroquinone which bleaches and inhibits further pigmentation and melasma, while exfoliating to create a glowing skin tone, and hydrocortisone which soothes and reduces redness on the skin. Inkfree, MD offers 3 different types of VI peels depending on the severity of your skin, ranging from just $199 to $249. The peel only takes 20 minutes and you’ll have more beautiful, smoother skin in just 7 days! Finally, if you suffer from those harmless, soft growths that typically occur on the eyelids, neck, armpits, groin folds and under the breast, then skin tag removal is the solution. At Inkfree, MD we use a method known as electrodesiccation to safely and gently remove the skin tags. An electrical current is applied to the stalk of the skin tag, destroying the blood supply. Over the course of a week, the tag will gradually fall off with larger tags possibly requiring an additional treatment. Inkfree, MD offers a comprehensive approach to attack and remove these unsightly spots and more at a fraction of the price. Call us today at 832-478-5669 and schedule a free consultation so we can customize the best treatment options for you! 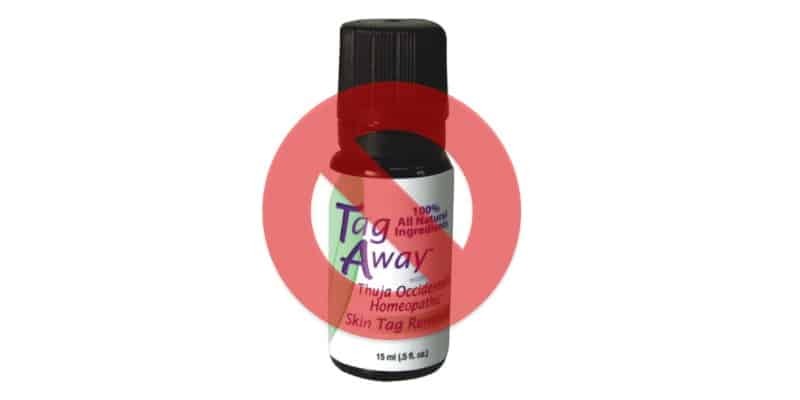 Does Tag Away really work for skin tag removal?